On the anniversary of his beloved wife’s death, Dr. Michael Everett receives a letter Hannah had written him. In it she reminds him of her love and makes one final request. An impossible request. I want you to marry again. She tells him he shouldn’t spend the years he has left grieving her. And to that end she’s chosen three women she asks him to consider. 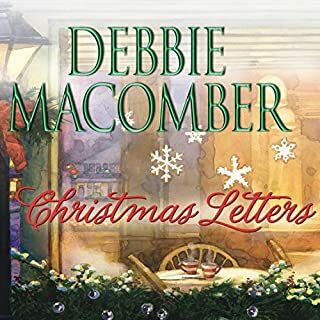 During the months that follow, he spends time with Winter, Leanne, and Macy, learning more about each of them…and about himself. Learning what Hannah already knew. He’s a man who needs the completeness only love can offer. And Hannah’s list leads him to the woman who can help him find it. 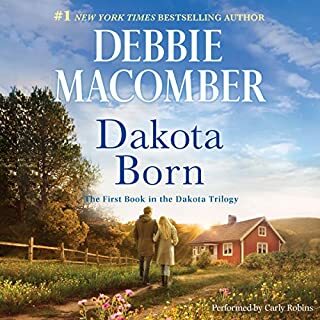 ©2010 Debbie Macomber (P)2010 Brilliance Audio, Inc. The author really tells you alot about the characters and by the end of the book you feel like they are all your friends. 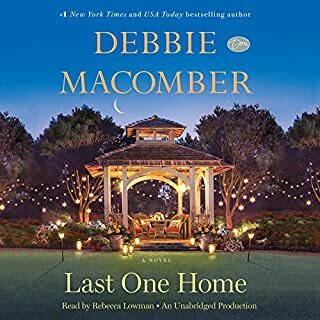 Debbie McComber really touches on all the emotions of how it is starting over after losing "a better half" but it doesn't end sad but has more than one happy ending. Loved it!! this story is really fun - I'm still listening to it, so hopefully that will continue. However, I have a huge beef. 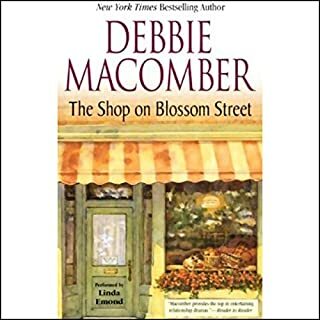 Macomber's stories take place in Seattle, so please get readers who can pronounce Washington names. So far, Ivar's and Yakima are annoying me every time I hear them. What disappointed you about Hannah's List? First, the story was unbelievable. A man supposedly deeply in love with his dead wife, meets a woman, falls in love and is ready to marry her within a few weeks. Makes you question how much he really loved the first wife. He was so quickly ready to love and marry this woman who came across as a total airhead, that it actually made me dislike him. I don't think he really knew who or what he wanted, he just needed a wife. I kept listening hoping it would get better but it didn't. 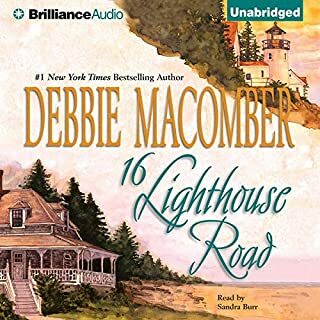 Because other Debbie Macomber books have been so good, I kept listening. Unfortunately, this book got worse the further into I got. Just the way the doctor turned from grieving, to happy, to I want to get married so quickly it actually caused me to dislike the character. Yes, other books by her have been very good. If you could play editor, what scene or scenes would you have cut from Hannah's List? I would have made Macy a little less eccentric, the scene where she and the dr. made a salmon casserole together and then she realized it may have been cat food was cute, but then for them to go ahead and eat it, that was just stupid. She was too far out, and an organized doctor wouldn't adapt to that so quickly. The richness of this story is completely diminished by the use of male voices to speak female lines. a little sappy... but i like sappy. i didnt care for the narrators different voices (he made it a little too sappy). 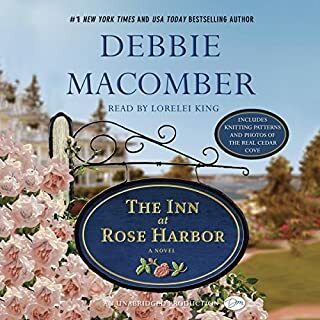 Great audio book....loved the old man harvey! The person reading the book was awesome! Like listening to debbie books! 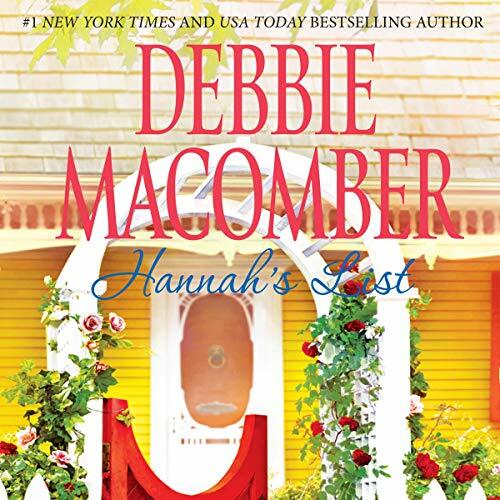 Would you consider the audio edition of Hannah's List to be better than the print version? This was a wonderful book it would make a great Hallmark movie. Makes you think about the things you would like to do in a time period and in doing that you can finish your list and start a new as your life changes. Story was interesting but dialogue was a little clunky and unrealistic. The narrator sounded either robotic or shrill especially when reading thw women's parts.